One of my greatest finds ever are these canvases from the dollar store. 1 Canvas + Acrylic Craft Paint = 2 bucks! I’ll take DIY canvas painting over store-bought any day for that price. 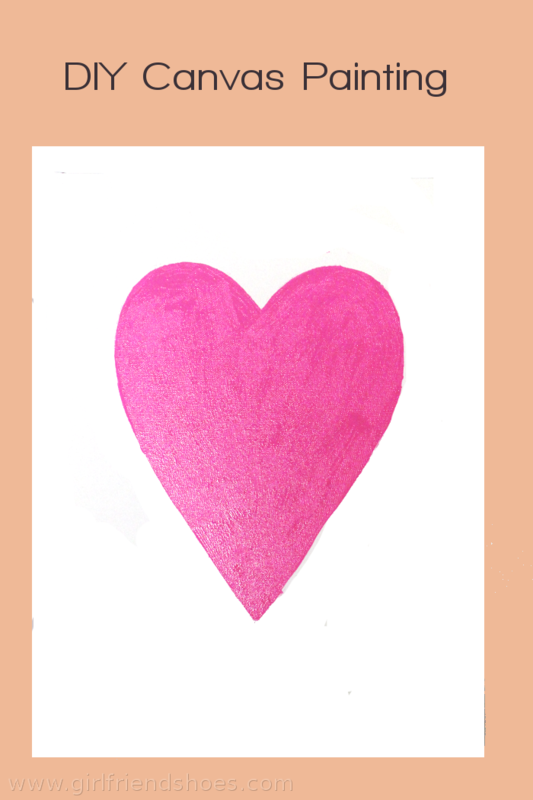 I wanted to make something very simple yet cute so I opted for a pink heart. 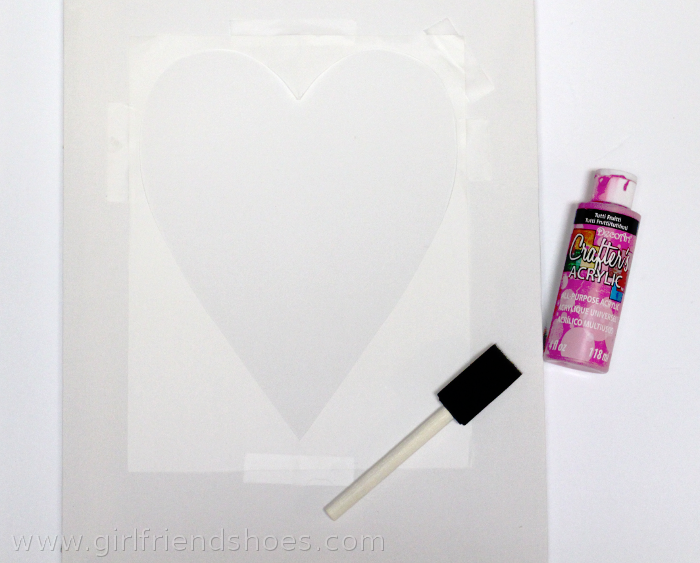 I made a stencil out of regular paper and then painted it in with pink. Once it was dry I sprayed a sealer on it to give it a nice shine and to keep it from discoloring over time. This one is larger than the first canvas which I purchased at Michael’s. I actually got a sweet deal, it was 40% off a 5 pack. 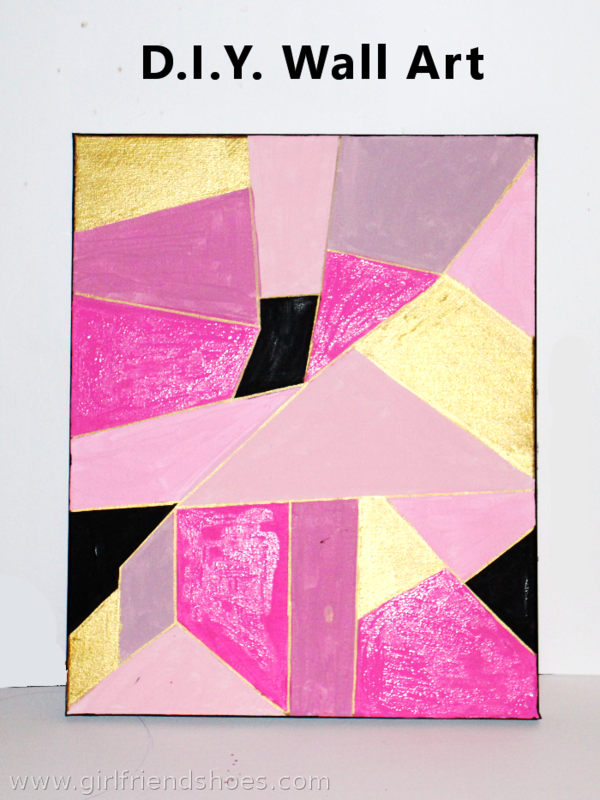 I have never made any kind of geometric art before that I can think of so I thought I’d give that a go with my favorite colors, pink & gold. I added black for a dramatic effect. I used a dowel to keep my lines straight because I couldn’t find my ruler or anything else suitable to use. Once I painted in my shapes with acrylic craft paint I went over the edges with a gold sharpie marker. It was still wet when I took this picture but once dry I also sprayed this one with a sealer. To be honest I didn’t really like this painting when I finished it but it’s grown on me and now I can’t wait to add it to my upcoming wall gallery! Pretty easy to make, huh? Think you’ll try one yourself?